Last week I told you guys about the Zoya Nail Polish Exchange. 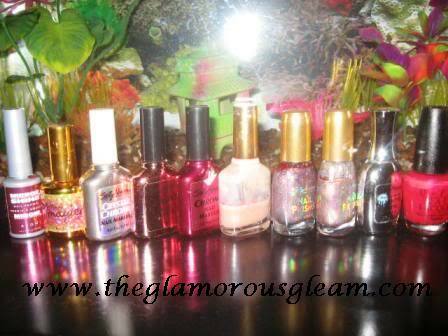 Well I scanned my collection for old polish that I could send in and sure enough I found ten old bottles to send to Zoya. I mailed my polish out to Zoya on Wednesday April 28th and received my new polish today. That was super fast shipping. I have never received a package from Zoya that quick. Mostly old Sally Hansens, an Avon and an old dried out OPI polish. Robyn and Yummy are very similar, however Robyn is a “Robin’s Egg” blue and Yummy is more of a sky blue. Maura and America are also very similar, but Maura is more of a neon red and America is a classic, pin up girl red. It is hard to tell in the photo. Since shipping was $3.50 a bottle, I paid $35.00 for the transaction. Zoya polish retails for $7 a bottle with $6 shipping, and usually ships free with a $75 order. Basically I received about a 46% discount on a regular order while properly disposing of my old, unused polish. The Zoya Nail Polish Exchange is a perfect way for you to try out Zoya Polish at a discount if you are new to the brand , or to update your collection without breaking the bank. I am extremely happy about how smooth the transaction went and I would definitely participate again. Have any of you guys sent in any old polish yet? If so, what colors did you get? If not, are you planning to participate? Thanx for sharing. 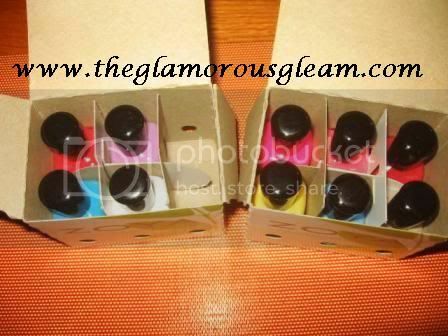 I will be mailing off my polishes later on today. I'm sending out my old polish tomorrow. I got 10 for myself, and 6 for my mom. The Exchange really does save a ton of money, and it helps the environment. I'm so happy I am able to participate in it this year. @Jean You are so right. The program totally saves a ton of money and saves the environment. I am glad to see someone else participating. Have you picked out the colors you want yet? Yeah, I plan on getting Adina, Jo, Kiki, Kotori, Mimi, Roxy, Savita, Yasmeen, Yummy, and Zara. My mom picked out Drew, Evangeline, Shivon, Midori, Harley, and Marcella. Great picks! I have Savita, Yummy (new), Shivon and Midori. All are very pretty. You chose some nice shades. You're gonna be all set for the summer, girly! Thats so amazing. and i love you color choices, that baby blue is super pretty! not available out of US >.< but eventhough asia have other brands, but they dont have these exchange campaign wic is a genius! 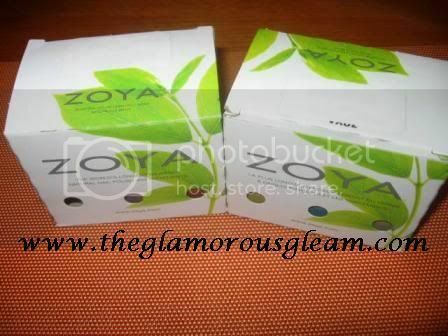 i want zoya!!! This exchange programme is such a fantastic idea! It was certainly a very good deal and win-win for both parties. The new Zoya's that you got are such cheerful colours! @Alycia No problem. I can't wait to se your new polishes. @MochaMishMash thanks hon. I am totally set for Summer! @Jess Thanks girl. The baby blue is very pretty. I have nothing else like it in my collection. @Elle Although the exchange program is not available to you, I hear there are some legit retailers on ebay if you really want to try the brand. Gwin, Adina, Charla, Zara, Nidhi, Raven. @Amandita Yes hun I am loving my new polish! Does this brand of polish chip? I am in desperate need of a new polish that stays on my nail bed. I am going to share your post with my blog readers. Great entry. Can you swatch Charlize for us? I'm looking for a 'mannequin hands' type of shade and it looks almost perfect. Thanks Shelby. What shades are you exchanging for? Lol, that looks like so many when I type them all out. Great choices! I have Midori, Freja, Perrie and Loredana. They are all so pretty. Thanks hon. Robyn is gorgeous, I kept it on for 2 weeks with no chips. Received a lot of compliments on the color. 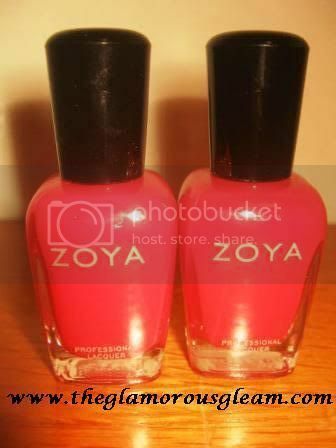 You absolutely must try out Zoya polishes girl, you won't look back! On-line game playing happens to be both a mental exercise as well as a fun experience not merely for little ones but for everyone. Each one of us would certainly come across not less than one online game which interests all of us in some way on the world wide web. Most of web users come on the web to play certain remarkable online game to invigorate them selves.